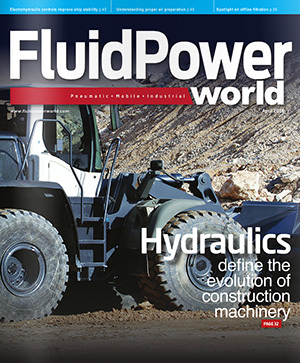 One of the best fluid power events of the year is coming up, as NAHAD, the Association for Hose and Accessories Distribution, hosts its 34th Annual Meeting and Convention at the JW Marriott Marco Island Resort in southwestern Florida. Located about an hour south of Fort Meyers, Marco Island is a popular winter destination and many outdoor activities abound, from the beaches to the golf course. More than 900 industry professionals are expected at this year’s event, scheduled for April 28 to May 1, and the host hotel has already sold out. The event, which was held in San Antonio in 2017 and Colorado Springs in 2016, has seen impressive growth. NAHAD always brings a great spectrum of speakers to their events, but the Convention also boasts a series of hospitality events on Sunday evening that are fantastic networking opportunities. The popular Showcase of Hose Solutions, which will be held on Monday evening and Tuesday morning, is a must-visit exhibit hall with 164 different distributors and associates showing off their products and services for the many distributors in attendance. Jonathan Taplin—Is Amazon an Existential Threat to Your Business? Herb Meyer—What in the World is Going On? Attendee and spousal/guest programs are optional and include a shelling and sailing eco-tour, brunch, pool and beach networking, an Everglades excursion, 10,000 Islands wave runner excursion, a golf tournament, tennis, and a botanical garden tour/lunch. To register, visit the all-new NAHAD website at nahad.org.